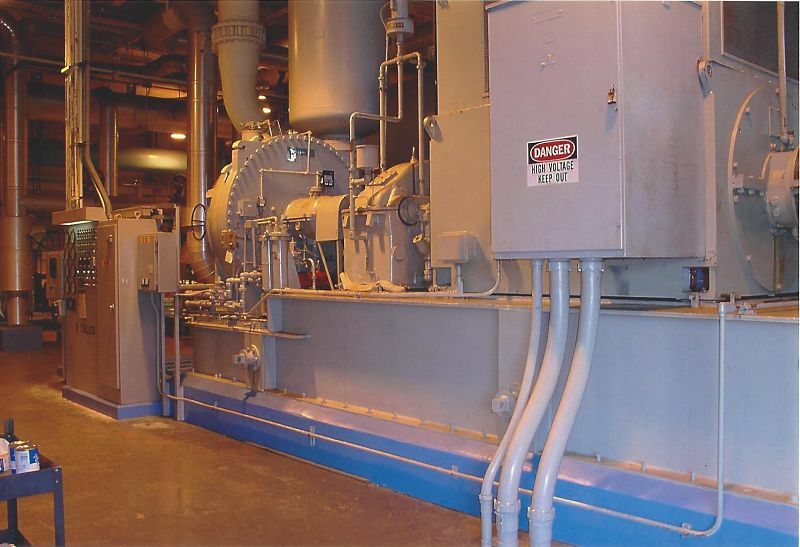 Providing chilled water for thermal storage in one of Orlando’s theme parks. This Carrier 17FA chiller was one of the biggest in Central Florida, and was maintained and repaired by Thermetrics Corporation during the last 15 years of its life. For emergency chiller repairs or a quote for preventative maintenance on all chiller makes and models call at 407-365-7478.